Sanibel Island Real Estate, Captiva Island Real Estate - It's Time to Build Your Dream Home! 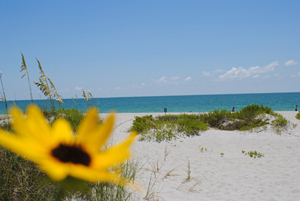 There are lots of reasons to build on Sanibel! I think it’s time to consider buying a homesite and building your dream house on Sanibel Island. Lot prices are still low, interest rates are attractive, and building a home is easier than you think! Once you have your perfect place in paradise, all you have to do is move in. Building and moving to Sanibel could be your dream come true! Miles and miles of beach, over 20 miles of biking/walking trails, and over 60% of our island is preserve property, including the world famous J. N. Ding Darling Wildlife Refuge. If you are a boater we have five marinas on Sanibel and Captiva islands. One of the builders I work with told me you can build a three bedroom, two bath piling home with a pool and granite counters for about $250 to $280/sq. ft. 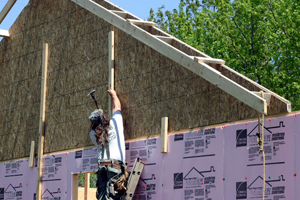 The costs of building on a barrier island are slightly higher than on the mainland as we have to build to codes that include special impact resistant windows, structure tie-downs, and basically much stronger construction than needed elsewhere. The size of your home, your choice in finishing touches, and home details, will determine your exact cost per square foot. I can help you with a choice of local builders who can explain to you exactly what your final cost will be. Living on Sanibel Island is worth it, and the stronger construction will leave you feeling safe and secure. Sanibel Island is divided into nine development "EcoZones" ranging from land that can never be developed, to land that allow a maximum of 35% to be developed. These values preserve Sanibel's unique environment by managing sustainable growth and redevelopment. All that said, once you make the decision to build, you will be glad you did! 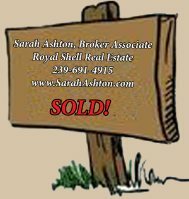 I have three homesites listed (and MLS access to every listing) that I would like you to consider. Each has its own benefits and appeal. The first is located at 2403 Blue Crab Court, and is offered at $499,000. This property has boat access to Pine Island Sound and the Gulf of Mexico from your dock! This 30,000+ sq. 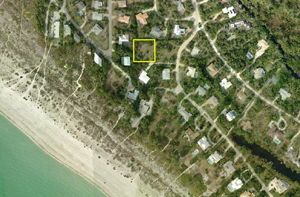 ft. lot offers ample space to build your Sanibel home by the water. Your can enjoy stunning views of Dinkins Bayou from your elevated home. A dock is in place and there is 7,600 sq. ft. of impervious coverage and 9,100 sq. ft. of area to develop. Perfect for boaters to build a dream home in a quiet island setting. House plans for a four bedroom home with pool are available. The second Sanibel homesite is located at 4636 Rue Royale and is listed for $495,000. This homesite is just a minute’s walk to the beach access in the Chateaux sur Mer subdivision. You can listen to the sounds of the Gulf of Mexico from this private Sanibel Island retreat. Just steps from the beach access, this lot will allow 30% - 35% coverage to build your beach get-away. Possible gulf views from the top floor of your newly constructed home. My third homesite is at 667 Birdie View Point, listed at $395,000. 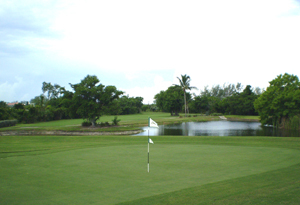 Expansive fairway views located on the Sanibel Golf Course in Beachview Estates. This lot has 4,250 sq. ft. of impermeable coverage allowing lots of space for your home. The fairway will be just out your back door! 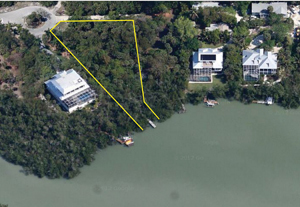 So there we have it, one lot with a dock and access to Pine Island Sound and the Gulf. The second is just steps to one of Sanibel’s best beaches, and the third is on an incredible golf course! I’m sure one of these properties is just what you’re looking for! This should be your year to buy island property! Contact me and we can see if building is a good option for you. Prices are reasonable and have just started to climb. 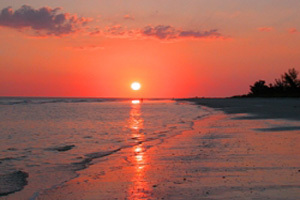 Sanibel's beautiful beaches are here and waiting for you. Give me a call today so I can start your search for the perfect island property and we can explore the possibilities of building your dream home. I look forward to hearing from you! Call me Today!